BECAUSE I AM INVOLVED ” written by Dim Odumegwu Emeka Ojukwu is a political treatise that centers on the Author’s perception of the Nigerian political situation with indepth analysis of the peculiarities of the country’s problems and offering unbeatable solutions to these problems. The dust generated by Emeka’s administrative work had hardly settled down when, in search of an organization that would escape his father’s influence, he generated another controversy that threatened to separate him from his father for good. He joined the Army! This was in 1957, when the Nigerian Army was merely a part of an all-embracing British West African army called the Royal West African Frontier Forces (RWAFF). These forces included the armies of Nigeria, Gold Coast (now Ghana), Sierra-Leone and Gambia. (Chapters 15 to 18) recollect the coups, the social/political repercussions, and the dramatic escape of the author and others from their Kaduna air force base. The rest of the chapters (from Chapter 19 to Chapter 52) record the setting up of Biafra Air Force, procurement of a bewildering assortment of aircraft (or more appropriately any contraptions that could fly). 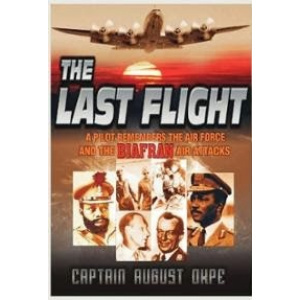 But the story of LAST FLIGHT is far larger and deeper than a tale of war and one service: a gifted story-teller, the author uses the vintage point of Biafran Air Force to knit together the essential happenings in virtually all sectors of the war theatre including its political environment. 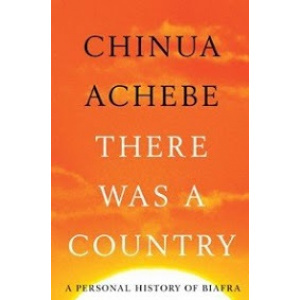 The book is almost a full picture of Biafra seen through the clear lenses of a major actor, if we discount the opening chapters that help the reader to touch base with the author's early years of professional training. 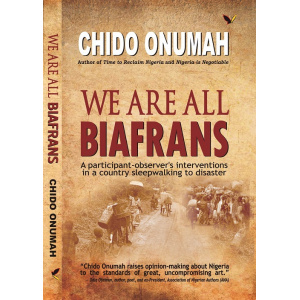 Through the author's integrity of perspective and seamless flow of description of events, the various sectors of the Biafran endeavour appear, not as range of disparate episodes but as an integral network of one gallant collective. To understand Africa, one must understand Nigeria, and few Americans understand Nigeria better than Karl Maier. 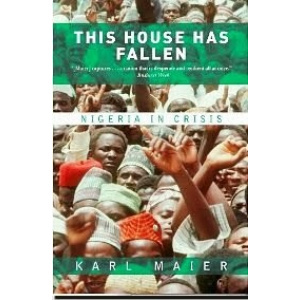 This House Has Fallen is a bracing and disturbing report on the state of Africa's most populous, potentially richest, and most dangerously dysfunctional nation.Each year, with depressing consistency, Nigeria is declared the most corrupt state in the entire world. Though Nigeria is a nation into which billions of dollars of oil money flow, its per capita income has fallen dramatically in the past two decades. Military coup follows military coup. A bellwether for Africa, it is a country of rising ethnic tensions and falling standards of living, very possibly on the verge of utter collapse — a collapse that could dramatically overshadow even the massacres in Rwanda.A brilliant piece of reportage and travel writing, This House Has Fallenlooks into the Nigerian abyss and comes away with insight, profound conclusions, and even some hope. Updated with a new preface by the author. 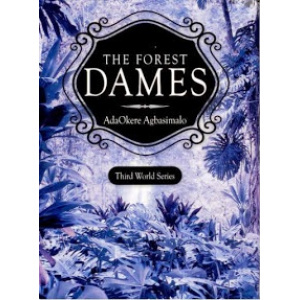 The Forest Dames is a novel based on war experiences that must be told in order to free the mind, disseminate information and prick the conscience of war agitators. It is a true life story fictionaised to reduce impact. 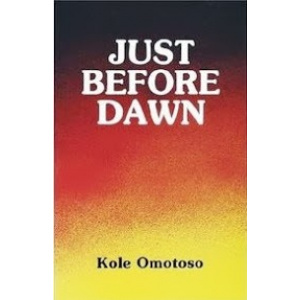 The book tells the story of a young girl who lived with her parents in the relatively calm and peaceful British colony of Nigeria, where shortly after independence compatriots went for each other’s throats. This soon exploded into a full blown civil war and from that time onwards, nothing was ever the same again. The war came with ugly incidences, one of which was the hunt for and abduction of girls and women to be forcibly converted to bed mates. Families sought hiding places for their ‘eligible’ females but these hide-outs were soon discovered through the power of and intimidation from the gun. Two women however decided that their daughters will never be made victims. They found a ‘safe haven’ for their daughters – the evil forest where the roars of wild animals were continually heard. But this is nothing compared to the brutal termination of lives and wanton destruction of properties through air, land and marine attacks; including starvation that was the order of the day, and which placed the final death mark on the people. The forest dames, four in number, survived the war and one of them decides to tell the unfortunate story of the elasticity of human suffering. All four dames are still alive and can be reached for further interactions. One of the brave mothers is also still living. incidents in the book are real; the narrative is conceived and written as a novel. The story covers riots, uprisings, private hopes and griefs and coup d'etats -a history marred by violence, with an outcome satisfactory to none. 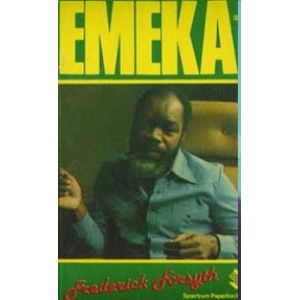 The book was received as a major contribution to African writing, in its innovative style, and was awarded Special Commendation in the Noma Award for Publishing in Africa in 1989, which described it as providing a more profound understanding than is available in conventional history books and novels. 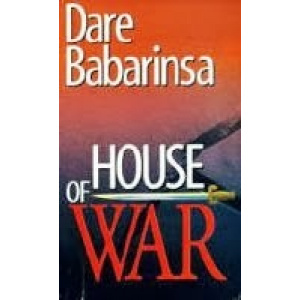 House of War is a chronicle of the bitter and bloody struggle for political power in Nigeria’s Second Republic, especially among the followers of the late sage Chief Obafemi Awolowo. 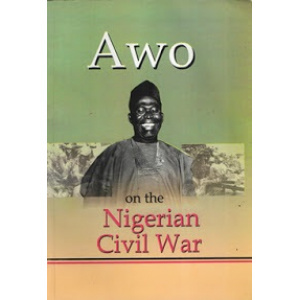 This is the story about the schism in the Awo camp and how Awoists turned against one another in the great scramble for political office. The book exposes the politicians’ grand auction of principles and the political intrigues, double dealings, back stabbings, stealing of votes, arson and killings, that characterised the Second Republic, especially during the 1983 elections. 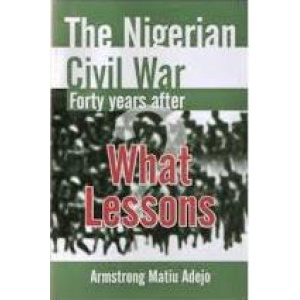 It is a relevant book, especially for those who have been following Nigeria’s new attempt to establish a worthwhile democracy since the end of military rule in 1999. Dare Babarinsa, a leading Nigerian journalist, graduated from the University of Lagos in 1981; he was the Chief Correspondent of the Concord Group of Newspapers in Ondo State during the 1983 general elections. He was Associate Editor at the leading Nigerian news magazine News watch until 1990 when he joined four other journalists from the News watch stable to establish Tell, Nigeria’s acclaimed foremost weekly news magazine. 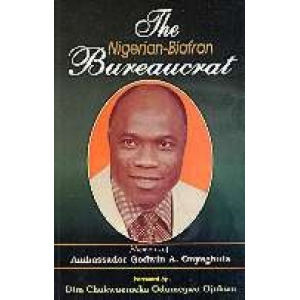 "As the Biafran Army Commander and therefore, an active participant in the Nigeria-Biafra War, I have written my own account of the war to cover details of tactics and general operational conduct. Colonel (Barrister) Patrick Anwunah, a remarkable Staff Officer both in Nigeria and Biafra, has now through his memoirs, revealed the logistics and general administrative aspects needed to sustain the Biafran Army at war for three years. He has thrown more light on the situation that led to the 'Statement of Peace' by General Philip Efiong to end the war in January 1970." Because it is strikingly original, it sheds some light on Nigerian?s recent past. It is the story of a brilliant and courageous man, weighed down by history, and of a woman?s extraordinary stamina to struggle on despite all difficulties. It is presented through the eyes of the children who went through it all. It is a family saga and a national treasure. The book is an overwhelming picture of patriotism, pain, love and joy. like their Igbo kith and kin east of the River Niger (who led the Biafran revolution and fought the Nigerian federal government from 1967 to 1970) were as involved militarily and otherwise as Biafrans in the confrontation with the federal government all through that period of crisis. 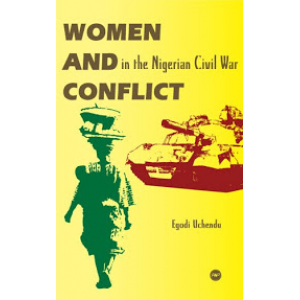 In analyzing Anioma women war-time roles, the book draws largely on interviews with women who survived the war, some of whom were adults during the crisis and others who were children at the time. The years between 1984 and 1993 were momentous for Nigeria. Military rule crafted the conditions and character of today’s society, forcing cataclysmic changes on the political, economic and religious landscape that nearly tore the country apart on several occasions. Soldiers of Fortune is a fast-paced, thrilling yet objective analysis of the major events of the Buhari and Babangida eras. 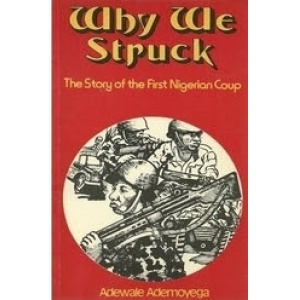 It reveals the true story behind past controversies such as the annulment of the June 12 election, the execution of Mamman Vatsa, the foiled kidnapping of Umaru Dikko, the Orkar coups and the assassination of Dele Giwa. Historian and lawyer Max Siollun gives an intimate, fly-on-the-wall portrait of the major events and dramatis personae of the period. 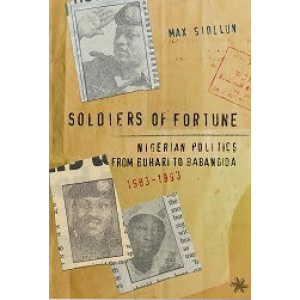 Soldiers of Fortune is a must-read for all Nigerians and Nigeria- watchers. Its dramatic narrative style will engage casual or academic readers alike. Godwin Alaoma Onyegbula was formerly General Ojukwu’s top civilian aide and confidant, and Biafra’s chief ambassador. 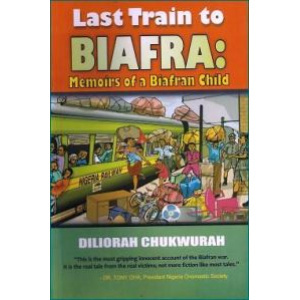 In this account, he conveys his intimate knowledge on questions such as the Biafran resistance and whether Ojukwu was involved in the coup of 15 January 1966. He further considers the merits of the French/Portuguese/South African axis to the Biafran diplomacy and war efforts; and how the beleaguered Biafran State survived for three years with under-equipped armed forces and wide-spread deprivation. 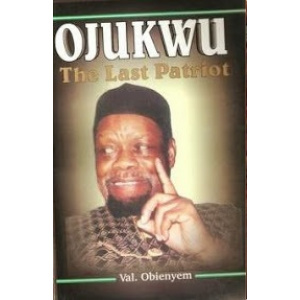 Foreword by Ojukwu himself. 494pp, NIGERIA. SPECTRUM BOOKS LTD. The Tragedy of Victory: On-the-Spot Account of the Nigeria-Biafra War in the Atlantic Theatre is a detailed chronological narrative of the war that lasted from July 6, 1967 to January 15, 1970. With about 500 photographs and maps, the book dwarfs all other previous publications on this subject matter in terms of depth of facts, coverage and accuracy. The well-organised, disciplined and efficient Third Marine Commandos, the soldiers in this theatre of the war earlier commanded byCol. 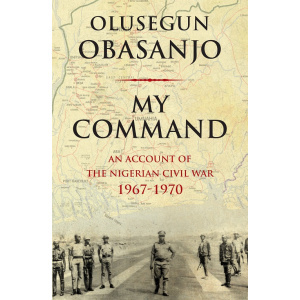 Benjamin Adekunle with Lt. Col. G. Alabi-Isama, the Chief of Staff, already controlled the Atlantic coast from Bonny to Calabar before Col. Olusegun Obasanjo's arrival as the new commander.This most-revealing book is in three parts. 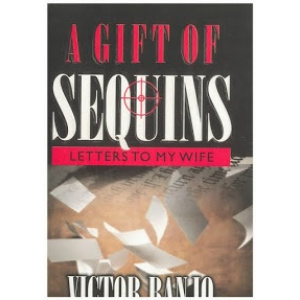 The first part is an account of the author's life and his first encounter with the army. Under the watchful eyes of a mother who gave the best in moral education to a son of promise, Alabi-Isama's life got shaped by a pre-destined career where the cap really fitted. The second part is about the real combat. It outlines, in detail, the strategies and tactics the commandos employed during the historic 480-kilometre trek from Calabar to Port Harcourt and narrates the hostile climate, terrain and environment, the travails, health and survival hazards they had to surmount on the 30-day march. The think-tank, the mapping out of operations and disciplined control of men and materials by Alabi-Isama, the chief of staff, as well as the officers of 3 Marine Commando Division of the Nigerian army, sustained the Nigerian side of the conflict. This section concludes with the final successful push by the commandos into Uli-Ihiala, Biafra's 'centre of gravity', a move that ended the war following the surrender of Biafra. The third part is an expose on Obasanjo's book, My Command. 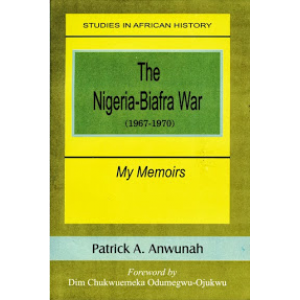 The author contests Obasanjo's claims about the war as being inconsistent with the truth and maintains that it is a tragedy that the real fighters of the war for the unity of Nigeria have not been acknowledged to date. Rather, they wallow in poverty and are discredited by their military leaders who assumed political offices with all the accompanying largesse. The book is a rich manual, a repository of invaluable information and a document that gives a precise and veritable first-person account of the Nigerian civil war, in the Atlantic theatre. It is a must for every serving and retired member of the armed forces to own. Other Nigerians and the international community would find it particularly useful in reconstructing the events of Nigeria's civil war. Seven years after independence, Nigeria was plunged into a tumultuous political crisis that degenerated into a major civil war, which lasted for thirty months. The war ended in 1970 with great casualties on both sides, especially from the Igbo. The Nigerian government, under General Yakubu Gowon military administration, declared that there was “no victor and no vanquished”. The Federal Military Government went further to implement the famous post war reconstruction programme christened the three Rs: that is Reconstruction, Reconstruction and Rehabilitation. How constructive this programme was still remains the subject of intense debate amongst scholars. Indeed, forty years after the war, thee fundamental issues that caused the war continue to be topical in the politics of the country. Coming barely seven years after Nigeria’s independence, the civil war is, perhaps, the most critical watershed in the country’s annals. Heaps of books have written on that seemingly spontaneous event, but 41 years after the bombs stopped landing and rifles stopped crackling, the last of the war of survival has not been heard. It has become the proverbial elephant whose different body parts were felt by seven blind men and each had a different story to tell. The latest of the wartime stories comes from a high-profile participant. Chief Achike Udenwa two-term governor of Imo State and former Minister of Commerce has also thrown his hat in the ring in the matter of reliving his own side of war time tales. 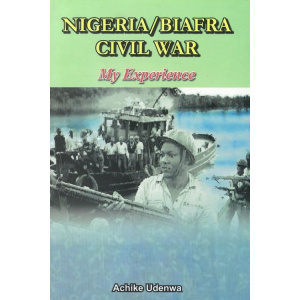 If, indeed, there had been any doubts about Chief Udenwa’s claims to being a central participant in the 30-month conflict then his new book captioned Nigerian/Biafran Civil War:My Experince has cleared such doubts permanently. The 258-page book, structured in seven chapters, excluding preliminaries, strikes at the heart of an event which significance continues to reverberate in the face of current political developments. In reality, it cannot be said with exactitude that Nigeria has finally overcome threats to its unity; a threat amplified by current security situations such as gave birth, though in varied circumstance, to the war which Udenwa partook in as a very young man. 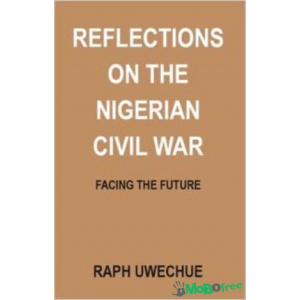 In the first 76 pages the author took a historical perspective of Nigeria’s political evolution, making copious references to immediate events that eventually culminated in the civil war. 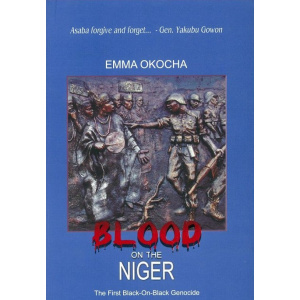 Emma Okocha, author of Blood On The Niger, an account of the Nigerian civil war. This is the history of the Nigerian civil war, a four-year period of events that have been meticulously and painstakingly tied to actual and specific dates, as well as days of the week, creating the greatest one-volume diary on the civil war, with verifiable and referenced sources. 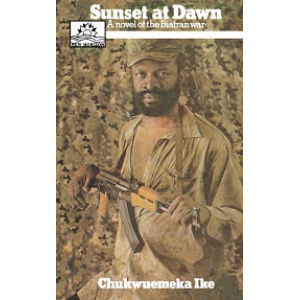 The contents of this book reflect the events of the Nigerian civil war and world reactions, woven together into a simultaneous and situational sequence that creates a real and actual experience to the reader, as if the events were still contemporaneous. The contents are free of the shackles of governments control on both sides of the war. 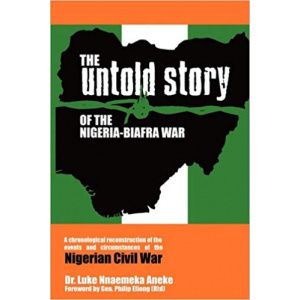 In this book, Dr. Luke Nnaemeka Aneke, presents the Nigerian civil war in a different and unique form - an amalgam of eyewitness accounts from journalists, relief workers, mercenaries, arms dealers, pilots and others, as recorded by independent news sources not controlled by Nigerian or Biafran authorities. 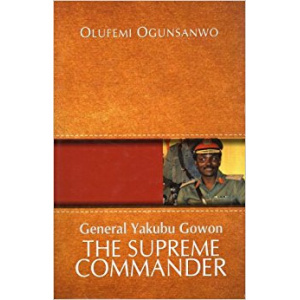 In his foreword to this book, the late General Phillip Efiong wrote: “the presentation of this book in the form of a diary of events paints a picture –a historical picture-that is free of rancour and the play of personal emotions”, for which work, according to the general also, Nigeria and the world should be grateful to the author. This is the book which marked Frederick Forsyth's transition from journalist to author. A record of one of the most brutal conflicts the Third World has ever suffered, it has become a classic of modern war reporting. But it is more than that. It voices one man's outrage not only at the extremes of human violence, but also at the duplicity and self-interest of the Western Governments - most notably, the British, who tacitly accepted or actively aided that violence. It is 1971, and Nigeria is under military rule, though the politics of the state matter less than those of her home to Enitan Taiwo, an eleven-year-old girl tired of waiting for school to start. Will her mother, who has become deeply religious since the death of Enitan’s brother, allow her friendship with the new girl next door Sheri Bakare? This novel charts the fate of these two Nigerian girls, one who is prepared to manipulate the traditional system and one who attempts to defy it. A comment on the First Edition from Lagos' Sunday Times: "The most unimpassioned account, to date, of the Nigerian civil War...Reflections is a book for any shelf..."
This must be one of the great revolutions of interpretation in Nigerian history. Built on facts, the book guides our gaze towards neglected chronology and meaning of events. The implications make for an inevitable and radical re-evaluation of modern Nigerian history. If one may suspend disbelief, reading this book will amount to a rewiring of our convictions and concepts about Nigeria and its history. 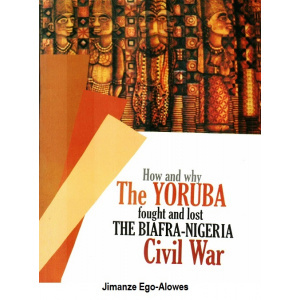 How and Why the Yoruba Fought and Lost the Biafra-Nigeria Civil War, amounts to a game changing interrogation of Nigeria. The book demonstrates that an implausible conjecture is not only possible but that it has already happened in the past! Ego-Alowes adopts a psychoanalytic approach to the whole drama that is Nigerian politics. Suddenly, all the scattered pieces of our history are pieced to reveal not just where the "rain started to beat us", but also a way forward from the ensuing cold. Personally, I do not think that the mentioned characters are solely aware of the implications and connotative meanings of their many comments as well as body language; perhaps it is because history has overtime conditioned me to perceive them as political saints. 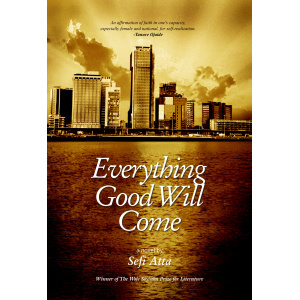 Nonetheless, national gamer or apostle, this is one book to read, for Nigeria's sake. Biafran war. Anioma, the Igbo homeland west of the River Niger, was for long absent in the accounts on the civil war; yet, the Anioma like their Igbo kith and kin east of the River Niger (who led the Biafran revolution and fought the Nigerian federal government from 1967 to 1970) were as involved militarily and otherwise as Biafrans in the confrontation with the federal government all through that period of crisis. In analyzing Anioma women war-time roles, the book draws largely on interviews with women who survived the war, some of whom were adults during the crisis and others who were children at the time. A retired general of the Biafran Army presents a post-mortem account of the events of the Nigerian civil war, 1966-70. He attempts to explain dispassionately why army officers toppled the civil government in the cause of stability, and the considerable civilian support they received; and the ensuing riots and counter-coup, in the name of reunification, which led to a civil war claiming some three million lives. 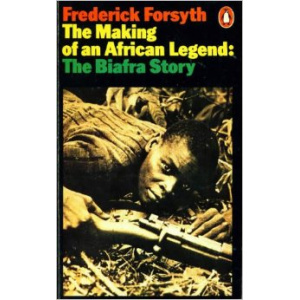 He presents eye-witness accounts, and from an insider-perspective tells the story of how and why the Biafrans fought the war for almost three years under blockade and in isolation from the outside world, aiming to rectify much perceived misinformation about the war published outside Africa. 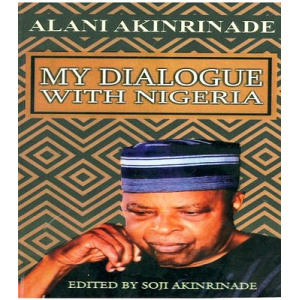 Alani Akinriade: My Dialogue With Nigeria pulls together the innermost thoughts and view of Lieutenant General Ipoola Alani Akinrinade, former Chief of Defence Staff and pro-democracy activist, on True Federalism in Nigeria and how to archive unity that is equitable and beneficial to all Nigerians. The Military and the Nigerian State establishes the circumstances of military incursion into Nigerian politics and examines the civil war and how it enhanced the military s control of political power. 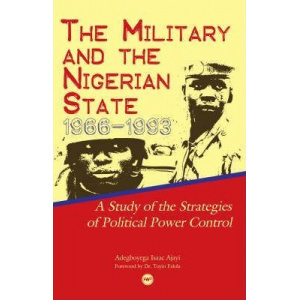 It highlights and analyses the strategies which the military rulers consciously employed to monopolize political power in Nigeria between 1966 and 1993. It concludes that: the deliberate corrective regime posturing; the politics of patronage and subordination; the employment of coercive and repressive methods; militarization and guided transition programmes were used (with varying degrees of success) by different military regimes to prolong their hold on political power. The Nigerian civil war ended in January 1970. Yet it continues to be the point of reference in political discourses in the country, in part because the attempts to meet the challenges created by the war have themselves created a whole range of new problems and malcontents. These have become the defining elements of the post-war era, and underlie the tensions that have characterized Nigerian politics. 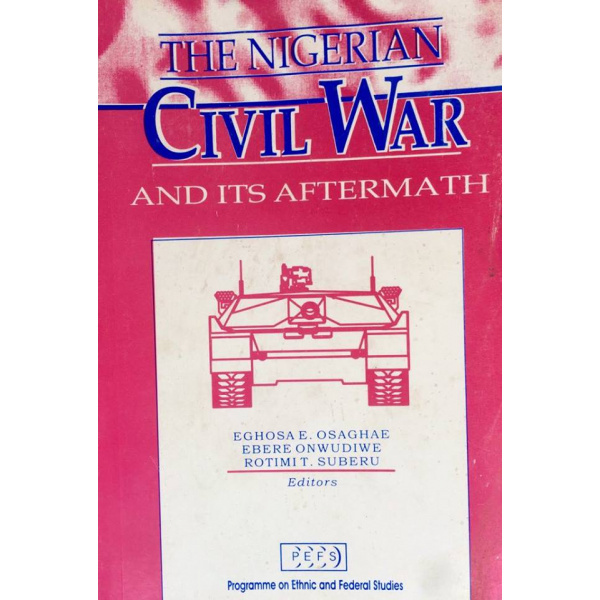 The civil war may, therefore, be the turning point in Nigeria's development trajectory that scholars and analysts seem not to have acknowledged. Or it might be that the war is in urgent need of re-interpretation and further interrogation in view of such post-war developments as threats of secession, demands for confederation, and the claim that resource control was at the root of the conflicts that degenerated into civil war. Whichever it is, however, it is clear that the war has important implications and lessons for the viability and consolidation of democracy in Nigeria, both now and the future. Contributors to this volume examine these implications and lessons from different perspectives.